Added by admin on September 14, 2018. The key cancer target has been missed by a record margin in England, figures show. Patients who are given an urgent referral by their GP are meant to start treatment within 62 days. But in July, 78.2% were seen in that timeframe, the worst performance since records began in October 2009. It means more than 3,000 people waited longer than two months for treatment to begin. The target for the NHS is 85%, which was last hit in December 2015. The target is also being missed elsewhere in the UK. 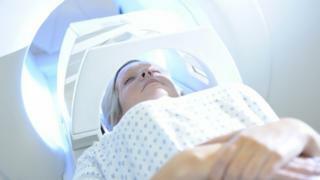 NHS England said there were rising numbers of cancer cases being referred – over the past years there has been a 5% increase alone. The past three months in particular have seen a significant increase in total cases. It means in the past year while 125,000 were seen within the target time, 28,000 patients have waited longer than two months, nearly 11,000 of whom waited over three. Dr Fran Woodard, of Macmillan Cancer Support, said the figures were “disappointing” and were “indicative of the immense pressure on the NHS”. It comes as the key targets for A&E and planned operations also continue to be missed. The number of people in England waiting more than 18 weeks for non-urgent operations is actually at the highest level in a decade. Nearly 504,000 were waiting more than the 18-week target time. The total on the waiting list for routine surgery at 4.12 million was the highest since August 2007.